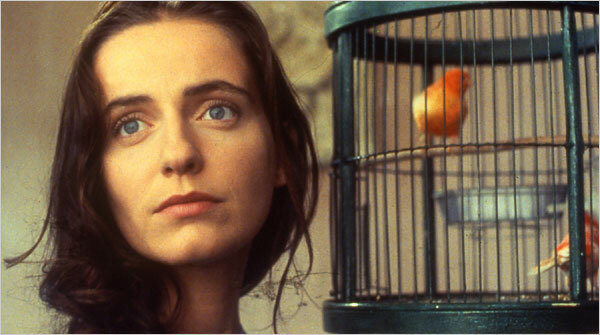 This one really hurts, folks: Manoel de Oliveira was one of the greats. He was also, of course, the world’s oldest active filmmaker and it is unlikely that any director will ever again be so active at such an advanced age. His 106 years on this earth spanned virtually the entire history of feature-length narrative cinema and his filmography spanned an astonishing 84 of those years — from the incredible “city symphony” film Labor on the Douro River in 1931, made when Oliveira was 22-years-old during what was still the silent-film era in Portugal, to the two shorts he made that premiered at last fall’s Venice International Film Festival (one of which was the festival’s official trailer), made when he was 105. All of which is to say that the old man wasn’t just a righteous soldier of cinema, he was the cinema. Oliveira was in many ways the last exemplar of — indeed he seemed to be synonymous with — a strain of now-extinct 1960s European art film in spite of the fact that he was barely active during that particular decade; Portugal’s then-fascist government had intentionally stymied his career, once even arresting him and interrogating him for 10 days because of a movie. Oliveira had the last laugh, however, outliving Portugal’s “Estado Novo” era, and embarking on the prolific late phase of his career (and achieving his greatest successes) at an age when most other directors start to retire. His films were intellectually vigorous and deliberately slow, long before “slow cinema” became fashionable on the arthouse circuit, and he emphasized rather than downplayed their literary and theatrical origins. But he was also, in the best Bunuellian vein, a Surrealist prankster who included a shocking “throwing a cat” gag in his Madame Bovary adaptation Abraham’s Valley and pulled the rug out from under the audience completely with the full-blown insanity of the ending of his film-opera The Cannibals. One of the proudest moments of my professional career was presenting the belated Chicago theatrical premiere of the latter as a midnight movie at Facets Multimedia in 2013. The screening was well attended and when I polled the audience beforehand I was astonished to find that literally none of them had seen an Oliveira film before. The nocturnal creatures in attendance were clearly expecting a cult-horror movie about cannibalism and yet, when the screening ended, everyone seemed to have enjoyed it, with many remarking that it was far weirder than what they had anticipated. 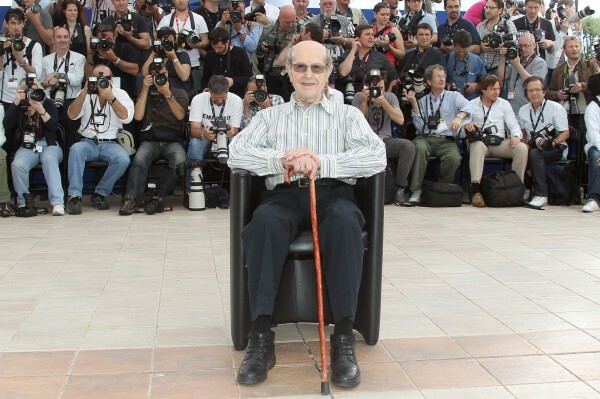 “At 102 years of age, Manoel de Oliveira is by far the oldest director on this list. Incredibly, unlike a lot of the other filmmakers cited here (many of whom have either officially or unofficially retired), Oliveira is not only still active but prolific, having made at least one feature a year since 1990. This recent spate of films constitutes more than half of his body of work, which is extremely impressive considering he started directing in the silent era. Oliveira’s style is not for everyone: his movies, made in conscious opposition to Hollywood conventions, tend to be slow, deliberately paced literary adaptations centered on the theme of doomed love. But if you can find yourself in tune with the rhythm of his unique brand of filmmaking, Oliveira’s best work – including Abraham’s Valley (by far the best film adaptation of Madame Bovary I know of) and the brilliant triptych Anxiety (Inquietude) — can be both intensely cinematic and soul-stirring. It is regrettable that Oliveira had trouble making features in the last few years of his life — not due to ill health but rather due to the difficulty of getting his films insured. He was not able to realize, for instance, his dream project of adapting Machado de Assis’s masterful short story “The Devil’s Church,” although one hopes that another filmmaker, perhaps a Portuguese director like Pedro Costa or Miguel Gomes, may end up inheriting Oliveira’s finished screenplay. Still, he was able to complete eight films after his 100th birthday and one can only hope that his death will bring renewed interest to this work. His final feature, the highly regarded Gebo and the Shadow from 2012, still hasn’t received a Chicago premiere. This entry was posted on Thursday, April 2nd, 2015 at 11:29 am	and tagged with Manoel de Oliveira and posted in Obituaries. You can follow any responses to this entry through the RSS 2.0 feed. Thanks for the response, John. I’m completely ignorant of Waters’ work so I have nothing to say about your list. I did however look up your Oliveira list and was pleased to see I’M GOING HOME at the top. What a film! This might be a strange thing to say, but I was happy that I learned of this from your blog. The man was born seven years before Birth Of A Nation appeared and he was still going strong. Wow. I’ve only ever seen one of his films: No, or the vanity of glory. It was playing at the Music Box when I arrived in Chicago in 1990. I need to see more.